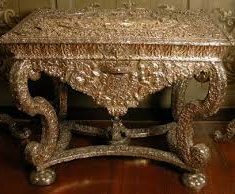 Interviewed in August 2014, Stan recalls how he was asked to travel to Knole from London one winter’s day in 1946/47, to assess the condition of the King’s Room silver suite of furniture, and then to re-assemble the silver table. 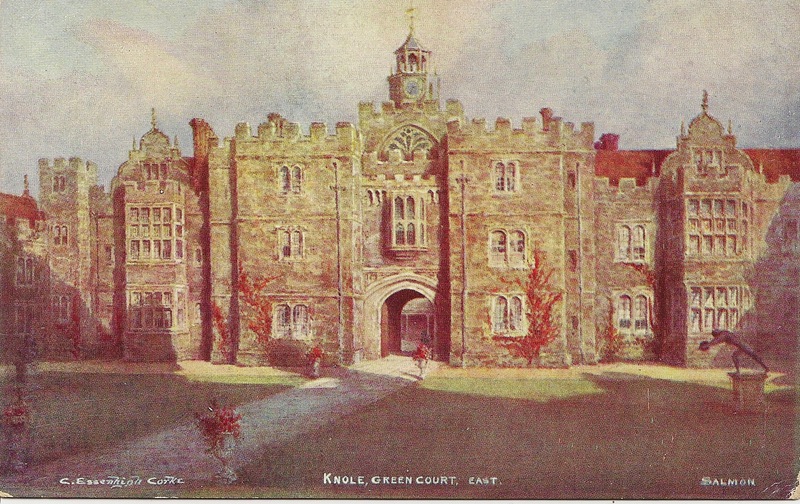 "Memory of travelling to Knole in winter 1946/47 " from Knole Oral History Interview 05-08-2014 by Stan Hollands. Track . It was put on me, all of a sudden, as a matter of fact, only 24 hours’ notice. I was proud and honoured to belong to a highly prestigious company Wakeley and Wheeler to which I had been apprenticed. 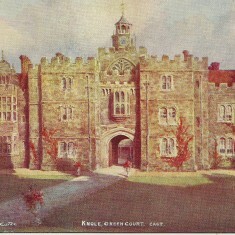 However that year, Mr Wakeley, at very short notice, invited me to visit Knole house in Sevenoaks. I’d never heard of it! 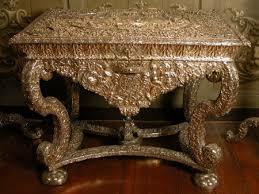 It was a, to act as silver expert; b, to restore and assemble a silver table. They told me one of only two in the world – that’s what they claimed. It was in many blackened and many times broken pieces. 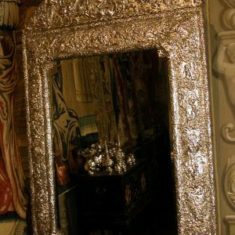 There was also a mirror and some candlesticks. I soon discovered Knole was a very long uphill march, and even further as the snow thickened. I was flabbergasted on reaching the top of the High Street that I was only half-way there. There were no paths or people visible; and when I entered the park it was a wilderness. There was trees and snowing and things like that. I walked down a slope and then started to walk uphill; sometimes the snow was up over me calves. And were you carrying tools with you? Did you have a big bag? I didn’t know it was going to snow. I had an umbrella because I thought it was going to rain. I had a case with me with various tools – I thought this table was only blackened and broken in many pieces and I brought what tools I could visualise. But I wasn’t told much. "Silver pieces in boxes, wooden pieces like firewood" from Knole Oral History Interview 05-08-2014 by Stan Hollands. Track . Mr Booth [the Butler] took me to this room. And although he was very polite to me what he said to the staff you could see there was a message and the message got home. He got two manservants to bring some tatty old cardboard boxes – there was four of them – they were most evil-smelling. And they put them down there and he said, “I apologise for that.” And then, he got two maidservants dressed in their black and their pinnies – just like Corner House waitresses – they put green baize over a table and the menservants started to unload the cardboard boxes. And then another big thing was brought in on a trolley and it was all wooden. It looked like a load of old firewood. The black – when silver is not attended to it is most evil-smelling. At my request Mr Booth got these two fellas to rub ‘em up with some cloths, not to get them shined but to get the aroma out of the way. And what causes the smell? Verdigris – it’s the lack of oxygen – all silver go like that. "3-4 days re-assembly" from Knole Oral History Interview 05-08-2014 by Stan Hollands. Track . I would have liked a drawing or a photograph or some idea of what I was doing! So they were just pieces of black something on a table? So I laid ‘em out, and after about two hours he decided I might like a cup of tea. And did he leave you to it or were there people in and out all the time? And this had been separated and were in all these boxes? I was there 3 or 4 days by this time, I had an arrangement, Vera my late wife had made me some sandwiches and Mr Booth was able to give me a cup of tea, for which he didn’t charge. I did assemble this thing and shined it up. 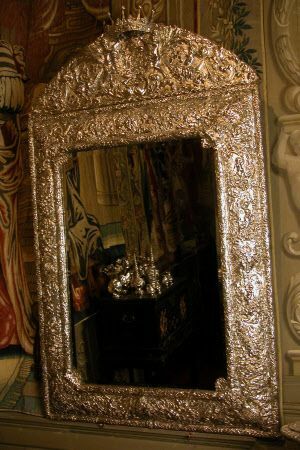 Then they produced a huge mirror which I did also. Then I was invited to do these candlesticks. I was sent there probably because a, I lived the nearest, and b, I was probably the lowest-paid because I’d just come out of the air force. This page was added by Veronica Walker-Smith on 21/01/2018.